So, I have to say I had the best time last weekend. As you can see, I got to meet Mr. Link as well as Adelina and Sir Lionel Frost. Sitting in on interviews is always a blast! It’s such a privilege to be able to ask and hear answers directly from the source. When asked what do they want the audience to take away from the film? It couldn’t be explained any better than this, which is the way it should be, especially coming from the one who had the idea in the first place, as he said, it all started with a doodle and some of his favorite things from his childhood. It must be incredible starting with just an idea, putting in many many years of work, and finally being able to see it all come together on the big screen. Missing Link is in theaters this Friday, April 12th. 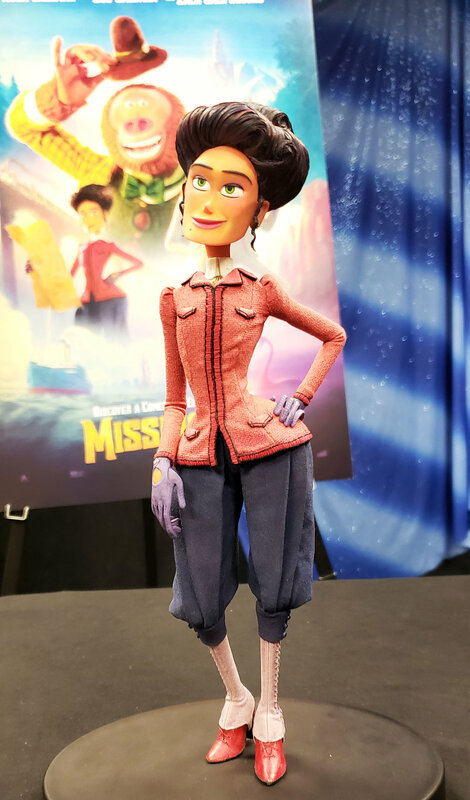 Check out the AMAZING artistry that goes into the characters that LAIKA creates. If you were to look at Coraline and then watch Missing Link, you can definitely see all of the advancements that the graphics department and animators have gone through, throughout the years. So, then that happened and we got a little picture with me and Zoe Saldana, who is basically just my new best-friend. Just kidding, but I am a HUGE fan of hers and everyone involved in this film. This one is perfect for the whole family, #MissingLink hits theaters everywhere April 12. Get your tickets now! and check out the trailer below.